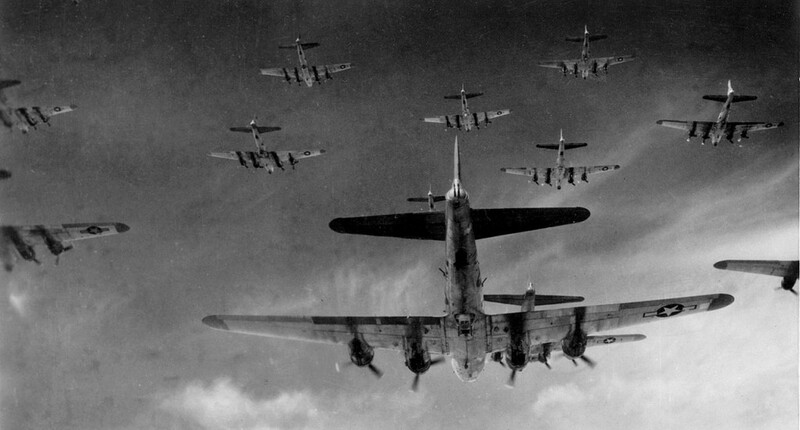 This week in the war, on 9 October 1942, a force of 108 B-17 Flying Fortresses launched a daylight raid against targets in and around Lille, in northern enemy-occupied France. The Companie de Fives steel works and the Ateliers D’Hellemes locomotive factory, both located in Lille, were bombed. This was one of the early massed air raids that the Americans staged in daylight. As the war progressed, the Americans would invariably attack by day and RAF Bomber Command by night. The American planes took off from airfields in England between 7.30am and 8.15am. The air raid inflicted only light damage but was judged a success because of the large number (over 50) enemy fighters that the American gunners believed they had shot down. The British had learned to be skeptical when debriefing aircrew. 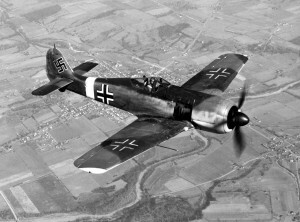 German files were to reveal that only two of their fighters, both Focke-Wulf Fw 190s, were lost during the raid on Lille. This entry was posted in World War II and tagged B-17, Fives steel works, Flying Fortress, Lille. Bookmark the permalink.